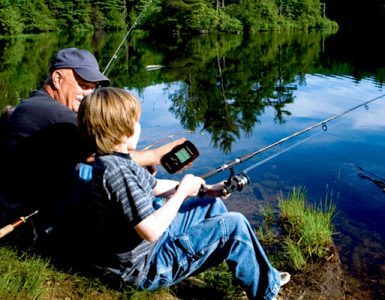 Home » Looking to Buy a Fishfinder ? 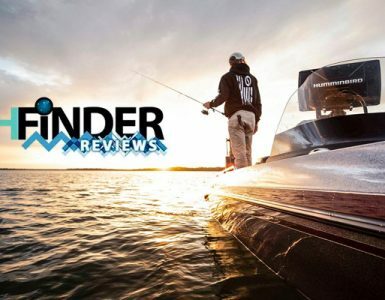 Looking to Buy a Fishfinder ? There are a wide variety of types and models of Fishfinder on the market today. The choices can be quite overwhelming and confusing due to the many technical features that the different fish finders have. There are however, certain elements on all fish finders that are common to all models that are important for you to understand to help you make your choice. Fishfinders were originally designed and developed for use from boats only, and still are primarily permanently mounted and used from boats, however, there are now fishfinders designed for use from the bankside. There are hand-held models available as well as those that mount on your fishing rod, or on your wrist. There are now also many portable models available that can be mounted on your boat or kayak which can be dismantled and taken home after each trip. Following laptop and computer technology, fishfinders are now being developed with ever better quality displays. Before LCD screens were invented fishfinders used CRT monitors which were very heavy, bulky and not very efficient to power. The latest LCD screens are now capable of 256 colours with high clarity pixel definition which provide an obvious benefit for viewing the underwater world. Black and white or monochrome screens still provide excellent underwater scans, but color gives you an extra dimension, especially when it comes to defining features such as the depth of the sea or river bed. You need to consider that a color display will increase the overall price of the fishfinder, and will require more battery power. Some displays are also better than others in bright sunshine conditions. A fishfinder uses its transducer to send out signals to retrieve information about the underwater world in the form of a beam. The strength of the signal will determine how wide the searching beam is (either wide or narrow). The wide beam is used for deep water and the narrow beam is used for shallow water scanning (up to approximately 200 feet). Some fishfinders use dual beam transducers which can scan either shallow or deep water by selecting either the wide or narrow beam. When choosing your fishfinder, you will need to consider therefore if you require Single (usually for just shallower water) or dual beam for shallow or deep water. The Single beam transducers are usually set for shallower water. Some fishfinders have dual frequency capability. What this means is that they are capable of scanning both narrow and wide beams at the same time. The added advantage this has, is that the fishfinder will be covering a much larger area of water than single frequency transducer fish finders. Recent advanced technology has now given fishfinders enhanced features which enable you to view detailed pictures of structure and features under the water in a 3 dimensional view. Thousands of beams are sent out from the transducer in small slices, which when returned to the fishfinder are interpreted by software which pieces the slices together in a picture-like format. Down imaging lets you see pictures straight down below the boat, whereas the side imaging technology returns picture to the sides of the boat. 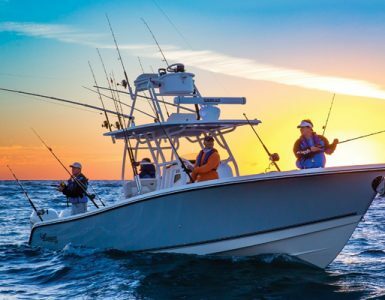 The combination of the 2 technologies can provide anglers with an amazing underwater view to help fully understand what is beneath the boat and beyond, and of course where the fish are living. The latest fishfinders, are not just fishfinders anymore, they now combine GPS and chartplotting features to provide full navigation technology as well as all the excellent fishfinding features all in one box. These fishfinders are known as Combos which have GPS built-in and usually include some free maps, which you can add to by purchasing and downloading to the fishfinder. 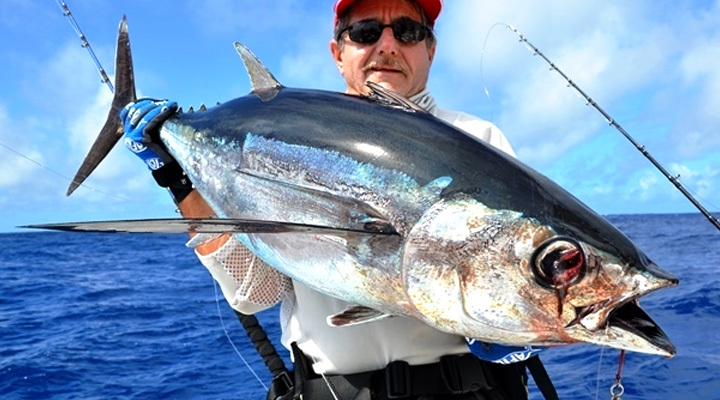 These Combos completely fulfil a boat anglers fishfinding experience, as not only can you find the fish, you can mark exactly where you found them so you can return again and again by marking them on your GPS maps. Of course everybody has a budget and like everything else in electronics and technology you basically get what you pay for. Basic entry level fishfinders are available at under $100 whereas fully featured combo fishfinders can cost as much as $2500. FishFinderReviews.net will help you find the best suited fishfinder for your particular budget. Record your fishfinding pictures a view them back later. Typically can be stored on a USB stick and view on your computer in common formats such as. MOV. Split the fishfinder screen into 2 or more views. Typically here you could view both the shallow water view and deep water view at the same time. Take a snapshot of the fishfinder view and zoom in on a particular area to analyze it further. Pictures can be saved as. BMP files and saved on USB Stick. This is a filtering system designed by Humminbird that allows you to control the clarity of the sonar returns. For example in rough water you can switch to a clearer mode which filters out any unwanted underwater obstructions and just returns the fish and structure you are interested in viewing. You can set your fishfinder to show certain fish sizes, or fish at certain depths with different colours or shapes. This way you can easiliy determine which fish are those you want to target and at what depth you are selecting. All the points to consider mentioned here are explained in further detail throughout this site. Please make sure you browse and read through the site to get a better understanding of what fishfinder you require before purchasing. FishFinderReviews.net will also indicate where the best prices available are for all the fishfinders reviewed.